Yes! Another smashingly wonderful German word to write about, this time from an unlikely source, our local rag, The Halifax Chronicle Herald. (Others may call it the Chronically Horrid but I have an odd fondness for its clever mismanagement of staff, its lack of interest in world politics, its endless car ads from the car monopolies…). This time it is a reprinted article (natch!) from the excellent Natalie Angier of the New York Times, writing about how some birds excrete their stomach contents to let their parents know they were in danger. The parents, upon smelling this thing, do what all parents wish they could do – they flee. What parent or pet owner among us, upon hearing the unmistakable retching noises from the next room, hasn’t had the same thought? And the Germans call it “Schreckstoff” – “fright stuff” – isn’t that perfectly delightful? So this Schreckstoff. Does it ooze out of pores of men and women on dates? Does it get worse the more desperate you are? You’ve just gotta wonder. Maybe that explains why all the boys around want you when you are otherwise occupado, but none of them do when you’re alone. 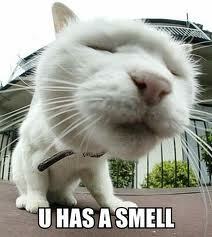 Or maybe that’s why, on a first date, having a good sniff seems like such a wonderful idea. Maybe bankers have especially sensitive probosci to sense out the bad loanee? Does it explain the funky odour in student exam rooms? The implications are profound. Sure, it would be hard to miss a vomiting companion, for which we are all grateful – but maybe there’s a way to see if people ooze schreckstoff when they lie? Wouldn’t that be cool? What with all these series about people who can read expressions or see into the future or converse with dead people, surely we’re due for a sniffing detective, a la the Nazgul in Tolkien? They’d be maximally creepy (think of the smoking man who sniffs hair in Charlie’s Angels), but I betcha they’d be effective. 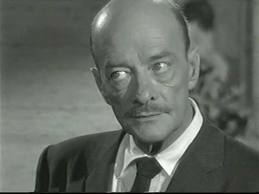 Like Columbo, they could turn at the door, and walk back. “Just one more thing…” they’d say. And lean forward and inhale, deeply. Then step back, nod, and exit. Comments : Comments Off on The smell of fear…. I recently signed up for a writing class called “40 days and 40 nights: deepening our practice”. I thought it would be a good kick in the pants for me to write every day, much like the Wii fitness thing was a push to exercise every day. Well, I dunno. For me, it’s just not doing it. The first assignments were easy, not too interesting, a bit childish, I thought. Maybe they’ll get better, I told myself. Maybe they get more complicated and demanding as the course goes on. Instead they are getting sillier. For example, every week we are asked to write 10-20 paragraphs about words starting with a certain letter. Today’s is to write about the letter C. I am SUPPOSED to be working on an entry for a contest I’m in, but all I can seem to do is sing “C is for cookie” and it’s blocking my head, so I’m going to charge through the exercise to clear mental space for the other thing to write (which is meanwhile percolating in the back of my head). So here goes. You judge if it is an addition to the lexicon. 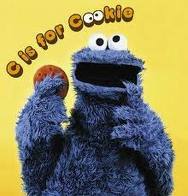 C is for cookie, that’s good enough for me….actually, they are very very bad for me. Sweet little mouthfuls – I have virtually no resistance to their charms. I try to keep them out of my house because they are infinitely tempting as I walk by the kitchen. For someone who works from home, they are potentially damning. Still, they exist, a small treat, a tiny glimmer of sunshine in a cloudy world. C is for charming. There is so much charm in our world, from my tiny puppy, Chutney, to the cowslips and calendulas that flower throughout the world. I love the tiny Johnny Jump Up flowers, with their tiny faces, so close to the ground. We need to look for charm, to feel its grace in our daily life. It smooths the mind and heart. C is for cost. Everything has its cost – from the cookies above, to decisions, to everyday wanderings through life. Costs may be small or large, but life is a series of them. C is for choice. When I choose to smile, I make others smile. When I choose to email a friend, I use time in a good way. When I choose to watch reality TV – well, I never do, really. I choose not to waste time. Right now I am suspended in choices. Do I move to the Maritimes? Do I stay in Ottawa? Do I try to sustain a relationship, or do I choose to let it go? Do I choose to forgive my ex for marrying someone totally different from me? Do I choose to forgive God for making my dear ex-mum-in-law perish from ALS? C is for creation. It’s something I have to do, whether through art or pottery or writing or knitting or cooking or even putting together things in my head. My dad was endlessly creative. He inspired me, frightened me – he was so much more capable than I. As I grew older, I learned that his skill came from having the courage to just try things, throwing himself into them totally. He didn’t hold back. All creativity requires courage. C is for capability. I’ve always told myself I am a Jack of all trades, a Master of none. The truth is, I could master more, if I made the choice to do so. When I studied statistics the first time, I crept through with a D. When it was important to me in my graduate degree, I studied and studied and studied until it stuck in my cerebrum, and ended with an A. So the thing is to choose areas to concentrate upon, to develop capability. In the meantime, I choose to cavort around through a variety of activities, casting my net widely, sampling all. So I can knit a lousy scarf, cook a passable meal, chair a meeting, cuddle a dog, convince others all to a certain level. C is for Constantinople. Now Istanbul, it is a place I long to see. The architecture, the people, the scents, the flow. It is the heart of civilization and has been for centuries. What souls have passed through this centre? Like looking at an apartment building at night and envisioning people walking about, living separate lives, one can imagine the centuries of feet that passed through the streets here, the people, all with their own hopes and dreams and worries and loves. I remember sitting on the steps of the cathedral in Strasbourg, France, and hearing wooden wheels cross the cobblestone square. History cries from the ground in these places; they are inhabited by ghosts. C is for cynicocratical, one of the words from the excellent “save the words” site. It means “pertaining to rule by cynics”, and I think it applies so well to political systems right now. No one believes, anymore. No one thinks there is any good in politics, we distrust our leaders, we vilify those who take the trouble to take up public life. It’s sad. My son is running for mayor in Kingston – he’s 19 – and he has been surprised by the response to his candidacy, which is supportive. I think, I hope, that there is a counter cynic movement starting. We need to believe there is hope, that there may in fact be people of good heart who want to lead us. Or fight for us, against the leadership of greed. C is for cognition, thinking. Perhaps we should all do more of that. C is for conclusion, or enough of all these c’s. The final C? Singing “Oh Canada”, which is a terrific antidote for the earworm started with the C is for cookie song. It stops earworms dead.